Marina di Ravenna, which is located on the coast , is the first of Lidi Sud of the Candiano channel, that connects Ravenna with the Adriatic Sea and it is characterized by the presence of beautiful tree-lined streets, residences surrounded by greenery and a great culinary tradition of Emilia Romagna. The beaches also attract many tourists for its atmosphere and modern equipment. The birth of Marina di Ravenna is very recent, about in the post-war period, when this fishing village began to show its vocation for tourism, following the rapid reconstruction of the area destroyed in different places during the war. Today Marina di Ravenna is one of the most famous seaside resorts of Ravenna, and it is dynamic and trendy, surrounded by greenery and it is famous for the exceptional cuisine. It offers all the comforts and services to meet the needs of people who want to practice any sports , such as beach volleyball , basketball, sailing, surfing, windsurfing. Moreover, its large pine forest offers the opportunity for long walks in the greenery and it becomes the perfect place for those who love fitness and jogging. This small town is also famous for its many nightclubs and the parties on the beach, making it a favorite destination for young tourists and not only in Summer. Every year there is ” The Winter Sea “ with its full program of events, which keeps alive, also in the coldest season of the year, the link between Ravenna and its beaches. 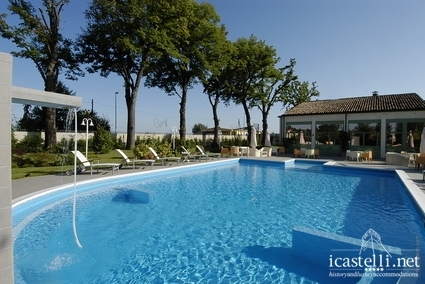 This entry was posted in Italy and tagged holidays marina di ravenna, hotel art cities, hotels città d'arte, hotels emilia romagna, hotels in the countryside, hotels marina di ravenna, hotels ravenna, relais villa roncuzzi, residenze di campagna, vacanze marina di ravenna. Bookmark the permalink.